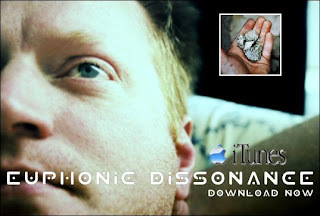 Brian Copeland of Euphonic Dissonance reports on the recording of the TECH MESSIAH album. Got a new track for you. Okay it’s not totally new. Actually, it’s about 2 weeks old and originally was under a different title and all I’ve changed since the last time I posted the track is the bridge…..but that makes it like new?….doesn’t it? I don’t really recall what I was calling this tune before but I’ve decided to title it “Stuttering Computer” for this round. It seems a very appropriate title. I wonder if it’s better than the temporary title I picked before. Hmmm? I really should keep better track of that sh*t.
So there is another track for the hungry masses. Hope you like it and hope you leave lots of juicy comments about it. Don’t forget to click on the banner below and pick up our first album if you like our music.